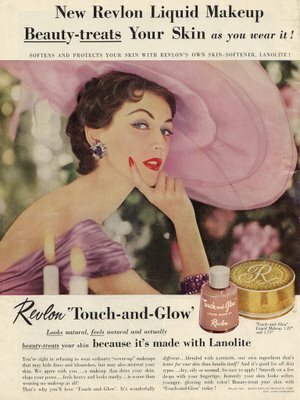 There is nothing quite like a touch of blush or a dab of pink to finish off your beautiful Vintage Inspired Makeup look. A little goes a long way when it comes to applying & perfecting blush, but lucky for us ladies applying blush isn’t too hard at all. There are a few types of Blushers available. 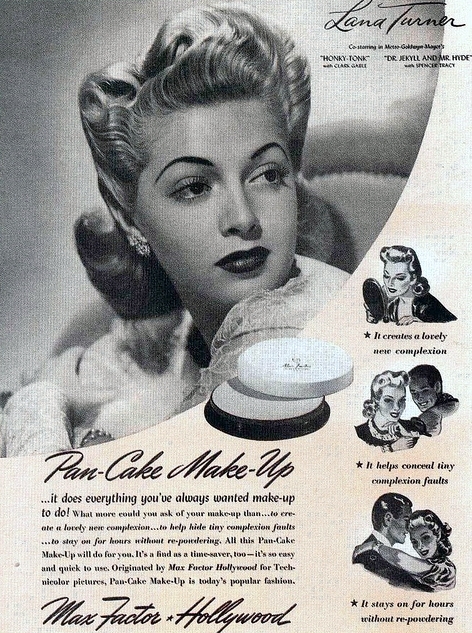 Powder & Creme Blushers are the most readily available. 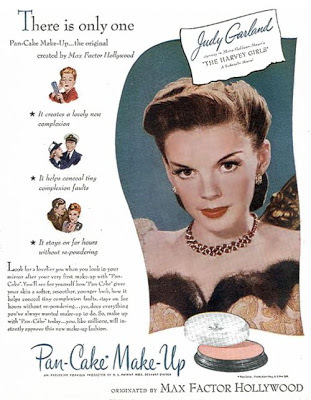 However for Vintage inspired Makeup Powder Blusher tends give the desired effect of a much smoother & blended finish. But of course if Creme Blusher is what you prefer to use then by all means go ahead & use what works best for you. Just like the shade of your foundation, it is essential that you choose a shade of Blusher that compliments your beautiful skin tone. Blusher is designed to accent your stunning cheeks, add definition to your face & leave you perfectly glowing! Here is a little tip to keep in mind when you are selecting that perfect shade of Blusher; If you have a pale skin tone use a deeper or more pigmented shade of pink, peach or coral (but avoid red shades). If you have a deeper or more tanned skin tone then select less pigmented or lighter shades of peaches or deep pinks. These shades will highlight your cheek bones & enhance your natural skin tone. If you are in doubt as to what colour to select, make a fist with your hand, squeeze tightly for approximately ten seconds, then release. Look at the colour of your fingertips. This is the colour of blusher you should aim for. It sounds awfully silly but it works a treat every time. Which Brush for the Blush? Using a good quality brush made from natural fibers is the best option. These types of brushes are much softer on your skin & are less likely to lose bristles on your beautifully perfected makeup. If you have naturally angular cheek bones like I do then it is best to use a round shaped Blusher Brush, as this will soften your cheeks. If you have naturally softer or less prominent cheek bones it is best use a slanted or angular Blusher Brush. Doing so will create extra definition to your cheeks with little to no effort. Once you have applied your foundation & powder it is then time to apply your Blusher. 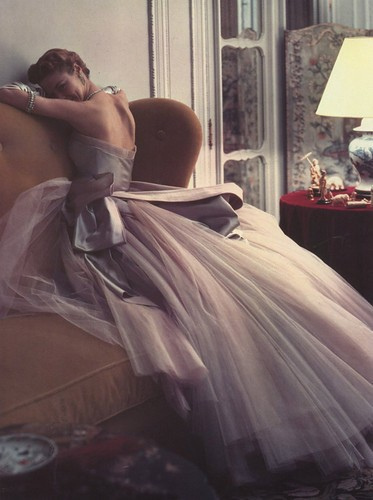 If possible apply your blusher in natural light rather than in artificial lighting. Artificial lightening can sometimes distort the colour & intensity of your makeup. Ensure that you Blusher Brush is clean & free from any previous Blusher build up. If you are using a rounded brush gently & lightly rub the brush over the Blusher Pan in a circular motion. If you are using an angled or slanted Brush gently and lightly run the Brush from the top to the bottom of the Blusher Pan. Less is always more when it comes to Makeup. 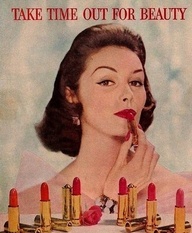 To begin with always use as little blush as possible. You can always go back to add more later. Once you have Blusher on the Brush gently tap the handle of the Brush against your wrist to remove any excess Blusher. You will be surprised at just how much excess Blusher falls away. Look directly into the mirror & smile with your lips pressed together. Doing so will allow the apples of your cheeks to become more visible. This is now your guide for where to dust your Blusher. 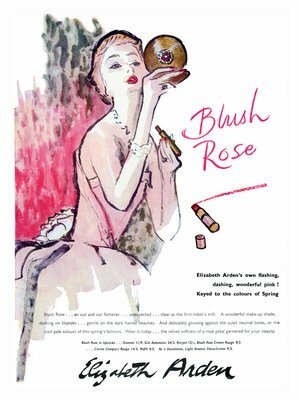 The location & direction in which you apply your blusher will depend greatly on your face shape. Be careful not to create a solid line or block of colour when applying your Blusher. Step back from the mirror to ensure each cheek is even. Add any extra colour if needed. 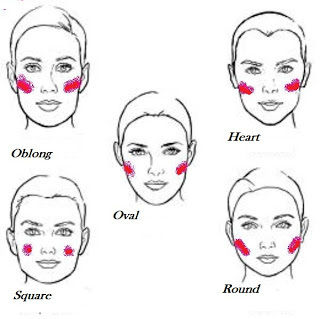 Round Face Shape: Avoid applying Blusher onto the apples of your cheeks. Instead contour your face by sweeping the blush up & along your cheek bone until you reach your hairline. Square Face Shape: Sweep your Blusher below your cheekbone & straight back towards your ear. 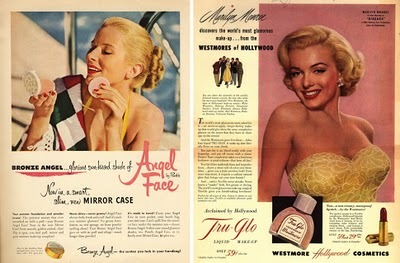 Oblong Face Shape: Sweep your Blusher ever so slightly above the apples of your cheeks & out towards the your hairline. Oval Face Shape: Oval Faces are the most even in shape therefore the application of your Blusher can vary somewhat. Apply your blusher in a sweeping motion either on the apples of your cheeks or along the cheek bones. Heart Face Shape: Apply your Blusher in sweeping motions just below the apples of your cheeks & blend downwards towards your ear. Once you are happy with the application & colour of your Blusher. Take a round Powder Brush that is free from Powder & gently buff the edges of your Blusher. Doing this will allow your blush to blend flawlessly into your foundation to create a natural finish. NOTE: If you have applied too much blusher by mistake, don’t worry. Take a cotton pad & gently rub it across the top of your Pressed Powder Pan. Then dab over the top of your Blusher. Gently buff out with your clean Powder Brush. No one will ever know the difference. Traditionally in Vintage Inspired Makeup & especially so in Pin-Up Makeup the middle of the cheek or apples of the cheeks are a slightly more of an intensive colour in comparison to the rest of the cheeks. It’s completely up to you if you wish to do this or not. After blending & buffing your blusher, take a small round Brush & dab two or three times into your Blusher Pan, tap off excess & gently dab the brush over the first ¾ of where you started your blush from (this starting point will depend on your face shape). Buff out towards your ear with a clean Powder Brush. It is always a lovely delight to receive all your Makeup questions & lovely emails. I’m a little behind on the creation of the Miss Ruby Ribbons Website, however once it is up & running it will be a great deal easier to submit questions & follow the blog. Thanks for your wonderful support & if you have any questions regarding the application of Blusher please feel free to let me know via email or on the Miss Ruby Ribbons Facebook Page. An exciting feature to any Vintage Inspired or Pinup Makeup look is the characteristic Winged Eyeliner or otherwise known as the ‘Cats Eyes’ of the 1950’s. This is a Makeup look that the stunning Marilyn Monroe mastered & made her own. Vintage Winged Eyeliner is achieved with the use of Liquid Eyeliner & a little bit of practice. Creating those perfect flicks with your Eyeliner seems like a tricky task at first, however with a little bit of practice you will have mastered the look in no time. There are two main types of Liquid Eyeliners that are the most effective in achieving the Winged Eyeliner look. These are the Gel Eyeliner & the Pen Eyeliner. Gel Eyeliner is typically in a pot or in a jar & is accompanied with a fine tip eyeliner brush. Pen Eyeliner has a fine firm point just as a felt tip pen does. 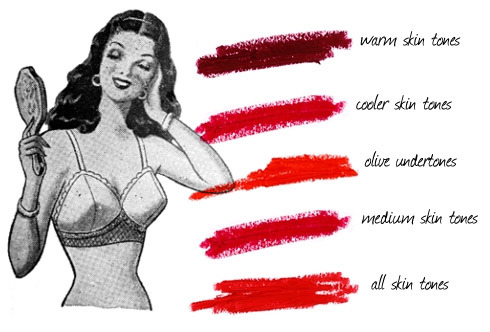 Both Gel & Pen Eyeliners are just as effective as each other for Vintage styles. It really does just come down to your own personal preference & which Eyeliner achieves the best results for you. So go ahead & experiment with both. You never know until you give it a go! Once you have applied your beautiful Foundation & Eye Shadow it is time to begin with the Eyeliner. Look straight ahead into the mirror to ensure your Eye Shadow is evenly shaded & blended. If your Eye Shadow is not evenly shaded or blended it can create the illusion of your Eyeliner being uneven or patchy. If you are using a Gel Eyeliner ensure that the brush is clean & free from any cakey build up that could transfer to your eyelid. If you are using a Pen Eyeliner draw two straight lines on the back of your hand, this is to ensure that the tip is still accurate & fine. If the tip isn’t take a tissue & a small amount of warm water to wipe the Eyeliner tip clean. Repeat the test on the back of your hand. Well taken care of brushes & products will make your eyeliner a great deal less difficult to apply. NOTE: Make it a rule to clean your Eyeliner & Mascara after each & every use. Doing so will help to lessen the chance of any nasty bacteria forming that could damage your pretty eyes. This is especially important if you wear contact lenses like I do. Look straight ahead into the mirror; ensure that your chin is slightly raised & that your pupils are fixed straight ahead with your eyebrows relaxed. This will allow your eyelids to almost create a mirror position to each other. Decide how high you would like the final point of the wing to be on the outside of the eye (avoid going past the end of your eyebrow). 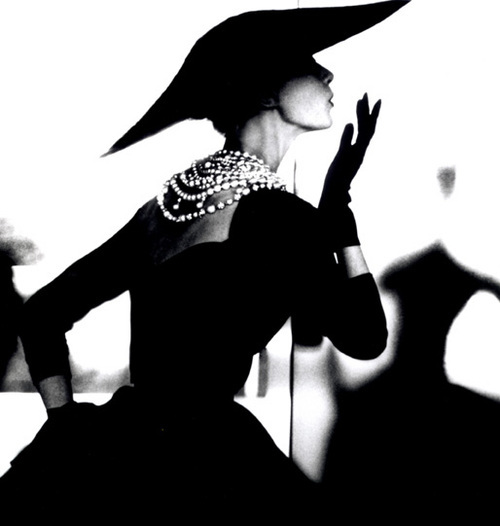 Once you have decided on the position take the tip of your Eyeliner & place a small dot in the desired position. Do the same on your other eye. Step back for a moment to check that the dots are even in terms of height & length in accordance to the eye. This is a vital step in getting your Eyeliner even & to finish at the same point. Now take your Eyeliner & place another small dot on the inside corner of your eye lid. This will be the point at which your eyeliner will begin. Step back & ensure that your eyeliner is even. Traditionally vintage eyeliner begins in the inner most corner of your eye. But of course you can do what works best for you. Look straight ahead into the mirror again, place a small dot above the most middle point of your pupil at a height & thickness that you desire your Eyeliner to be. However do remember it is a great deal easier to start with a thin line & work your way up to a thicker line rather than having to remove any excess Eyeliner. This middle dot will create the highest point for your arch. You now should have three dots on each eye. If you have a shaky hand steady your hand by lightly resting your elbow on a table or place the base of your hand on your check bone. But don’t anchor either of these too solidly as you will still need to have some flexibility to move back & forth easily across your eyelid. If you do get any wiggly lines don’t worry too much, you can come back later to correct these. Take your eyeliner tip & place this on the inner most corner dot, with short small strokes following the natural curve of the eye begin drawing outwards towards the middle dot. Start this line low & as close as possible to your lash line. Doing this will avoid any gaps between your lashes & your Eyeliner. Once you have met the middle dot pause to check the evenness of the line. Continue on towards the outside dot using small even strokes as you did before. Don’t go past the final outside dot. Repeat on both eyes. Now step back, check for any unevenness, correct any wiggly lines. Even up or thicken the line if necessary. A lovely friend of mine recently gave me some advice “Remember that your eyes are sisters not twins.” Therefore you must not worry too much if your eyeliner is slightly different in thickness. We are often our own worst critics, chances are no one else will notice if your Eyeliner isn’t perfectly identical on both of your eyes. NOTE: If you accidently create any smudges or ridges in your eyeliner take a fine cotton tip & lightly dip it into some Eye-Makeup remover. Gently erase away any mishaps. Touch up your Eye Shadow & Eyeliner. Now it is as good as new! 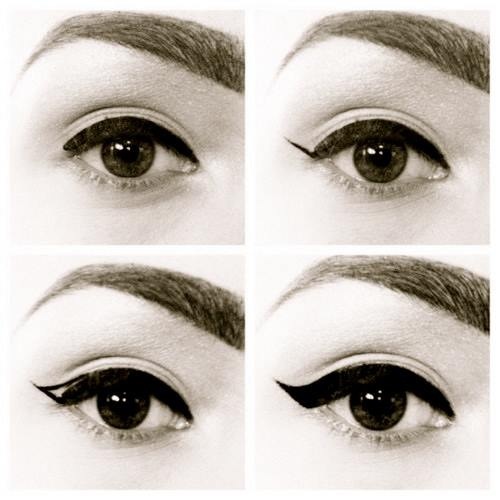 Now that you have your Eyeliner line it is time to create the signature vintage thick wing on the outer most corner of your eye (refer to the below image as a guide if necessary). Place the point of the Eyeliner above where the white of your eye & the pupil meet. With one steady sweep of the Eyeliner move it downwards to where the Eyeliner line meets the outer most point. Using one steady sweep of the Eyeliner will create a more defined line to the top of the wing. You should now have a curvy triangle like shape that curves upwards towards your eyebrow. Once again the height & thickness is completely up to you. Fill in the space inside the triangle with eyeliner, carefully avoiding going outside of the lines. Repeat this process on the other eye & ensure they are both even in thickness & height. You did it! Step back from the mirror and admire your fantastic Winged Eyeliner that you just created! NOTE: If the wing has not come to a fine point touch it up with some Eye Makeup Remover on a cotton tip, then redraw the tip of the wing in the correct location. Allow your eyeliner to settle for a moment as if can often absorb some of your Eye Shadow. If this does happen, delicately retouch the patchy areas with more eyeliner. Now apply your mascara. A wonderful little tip to enhance your Winged Eyeliner is to apply two or three extra coats to the outer corner top lashes to intensify their length and enhance your Eyeliner Wings. But be careful to not get those lovely eyelashes clumpy. Winged Eyeliner can really make your eyes stand out & create a very feminine over all look to your makeup. Experiment & don’t be disheartened if you don’t always get your Eyeliner perfect each time. There are always going to be those days when your Eyeliner just won’t go the way you had hoped it would. Just like other makeup products you can have a great deal of fun with different Liquid Eyeliner colours & textures, there is green, blue, pink, gold, glitters & the list goes on. I often use a silver Liquid Eyeliner during Burlesque to create a more metallic look to my eyes but stick to my trusty black Eyeliner for everyday makeup. 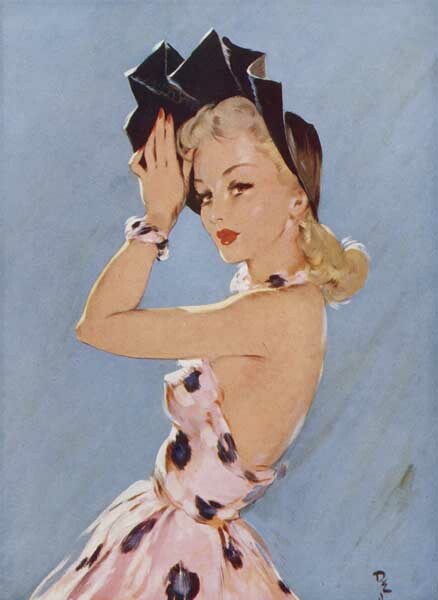 As always lovely Pinups I truly do hope this blog helps you when applying & perfecting your Vintage Inspired Eyeliner! I love reading your amazing feedback, so please feel free to email me if you have any questions or would like for me to feature something in my blog for next time.